Jack is an awesome mechanic whose workshop is unlike any other, when he drives through its magic doors he has thrilling adventures! Today Jack has to fix a digger, but when he takes it for a test drive he is transported into a land of dangerous dinosaurs. 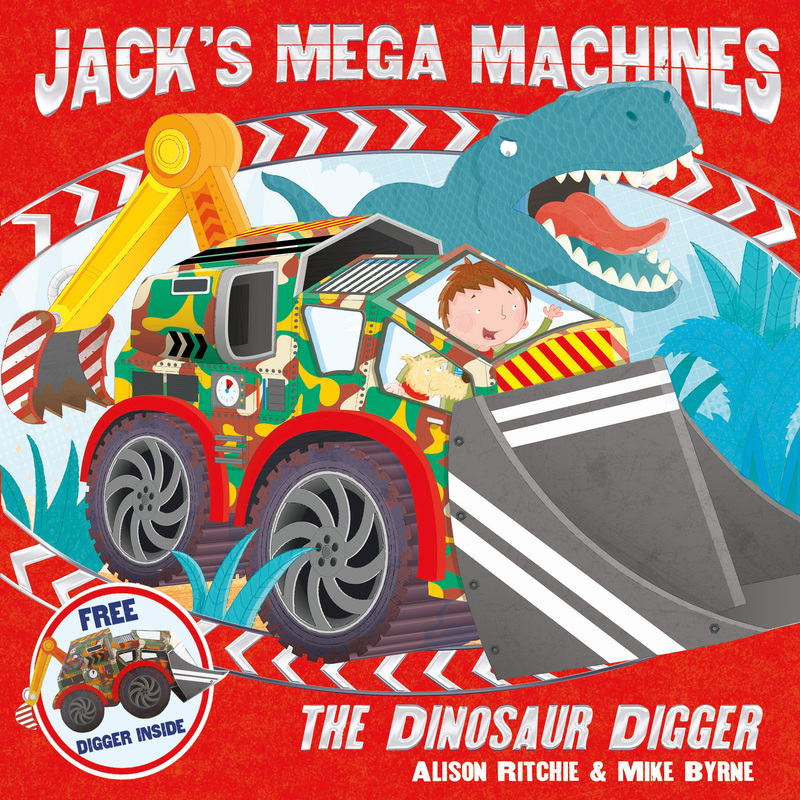 Will Jack be able to escape the terrible T-Rex in his dinosaur digger? Alison Ritchie works as a freelance editor and writer and has published several children’s books. She lives in a village in Oxfordshire with her two children and dog. Mike Byrne sees himself as a Peter Pan figure, never growing up and surrounding himself in a world of children. Like Peter Pan, his home is London, but his imagination is elsewhere, inspiring him to dream up the characters and creations he is known for .